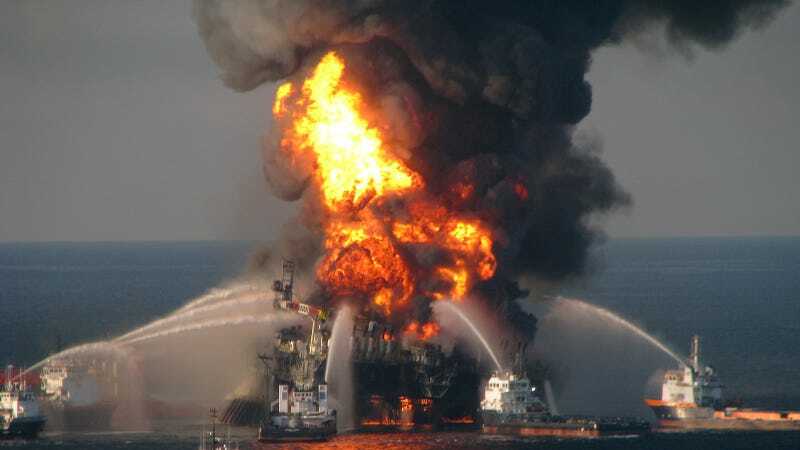 Just one week before its 6th anniversary, we are still learning about just how damaging the 2010 BP oil spill was for Gulf of Mexico marine life. A new study led by a researcher from the University of Illinois' College of Veterinary Medicine has found that hundreds of baby dolphin deaths can likely be tied to the event. The study looked at baby dolphins that were stranded in Louisiana, Mississippi, and Alabama from 2010 through 2013, and compared them to those in baseline and reference populations. It found that there were higher numbers of baby dolphin strandings compared to state-specific baseline stranding data (January through April, 2000−2005), and that the prevalence of stillborn dolphins among all stranded dolphins was significantly higher during 2011 in Mississippi and Alabama, and in 2012 in Alabama. In total, 88% of baby dolphins found in the spill zone had lung abnormalities, including partially or completely collapsed lungs. That compares with 15% of stranded dolphins found in areas unaffected by the spill showing the lung abnormality, the researchers said. Five years after the spill, one marine science professor told The Associated Press that, "The spill was — and continues to be — a disaster"
"The bottom line is that oil is nasty stuff," said Oregon State marine sciences professor Jane Lubchenco, who was the head of the National Oceanic and Atmospheric Administration during the spill. "Yes, the Gulf is resilient, but it was hit pretty darn hard."